 Sleeps up to 18 people – Great for family gatherings & workshops – One night reservations please inquire by phone ! 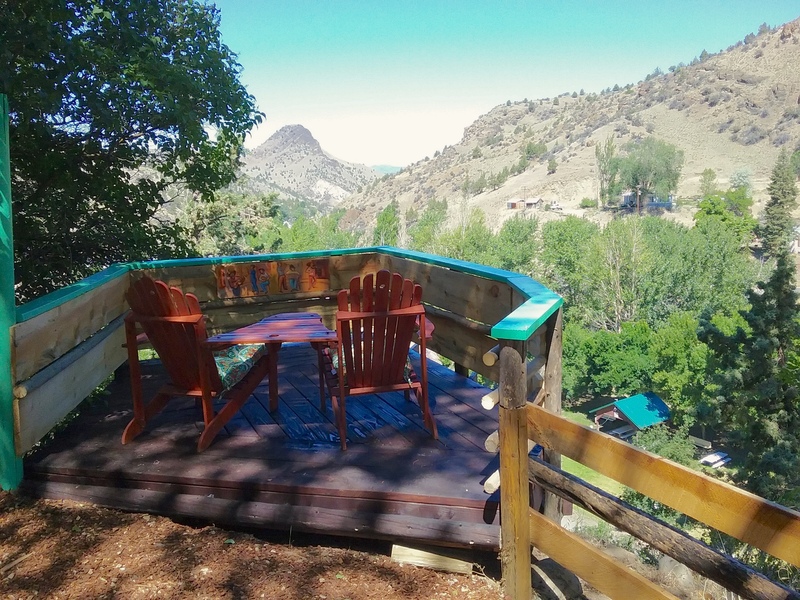 Sitting on a cliff overlooking the town, and the mountains beyond, can accommodate anything from family get-togethers or bigger groups of special interests including bicycle tours, hobby workshops for art, photography, geology, fishing or bird-watching etc. 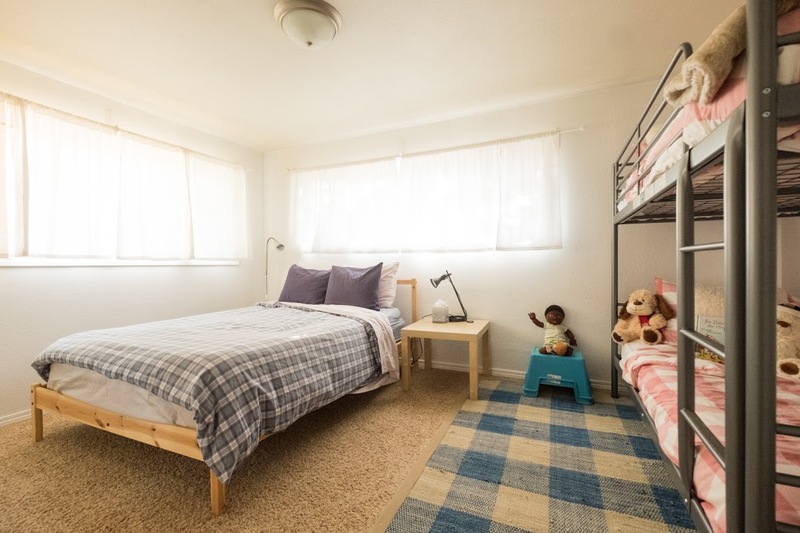 The upstairs features 3 bedrooms and 2 bathrooms and the spacious downstairs are set up in a dormitory style with 6 comfortable twin size wood beds, and 2 extra sleeper sofas. The cottages can be rented together for even larger events and groups up to 40 including camp-spots in the gardens. The bright and cheerful Sunset Cottage – Colorful, Spacious, Comfortable, with a breathtaking sunset view! 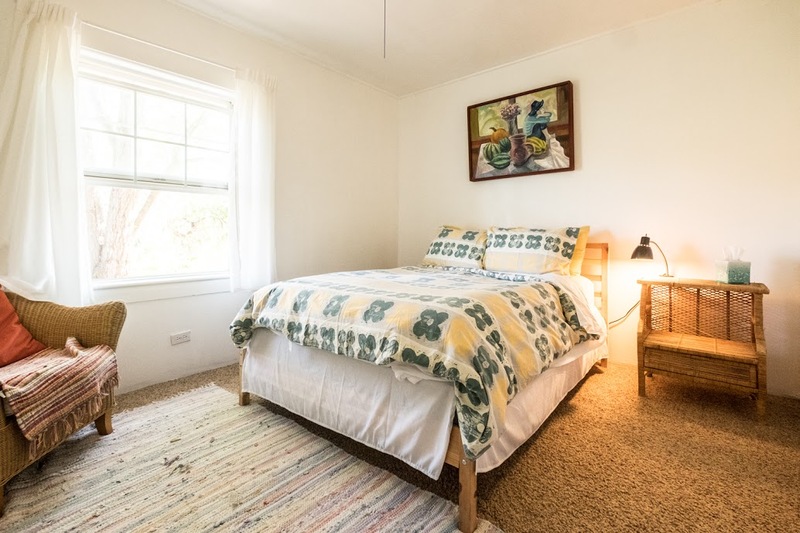 The recently remodeled Sunset Cottage can accommodate up to 18 people making it the perfect place for get-togethers of friends and family, retreat groups like yoga or art classes or bicycle tour groups passing through on Hwy 26. It’s located in a quiet neighborhood, across the street of the other two cottages. Sitting on the edge of a rock rim, it overlooks the town of Mitchell and the hills and buttes behind. The overlook spot in the garden is one of the best places to watch the gorgeous sunsets. The lovingly decorated cottage has two floors. The upper floor features 3 cozy bedrooms, 2 full bathrooms, and a kitchen with dining area as well as a living room. 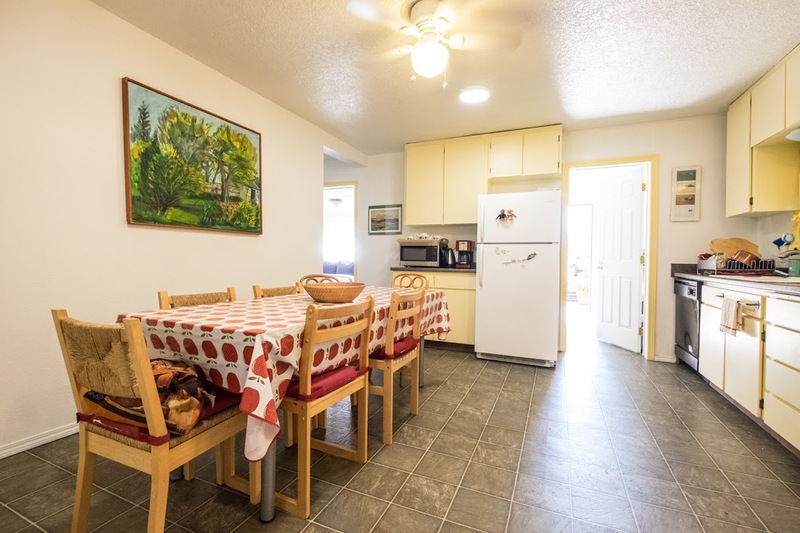 The full kitchen has everything needed from culinary pots and pans, chef knifes, artsy dishes and a good selection of herbs and spices to whip up a fantastic meal. The dining area can seat up to 8 and there are outdoor dining areas in the garden under the old apricot trees. The living room with a comfy sofa bed has a large flat screen HD TV and a DVD player as well as an international movie collection for your entertainment. The iron cast woodstove is stocked with firewood and kindling to make a cheerful fire on colder nights. Each bed has high-quality mattresses and European style down comforters with cotton linen is provided. The bathrooms are stocked with organic soap, shampoo and conditioner and plenty of fluffy towels. 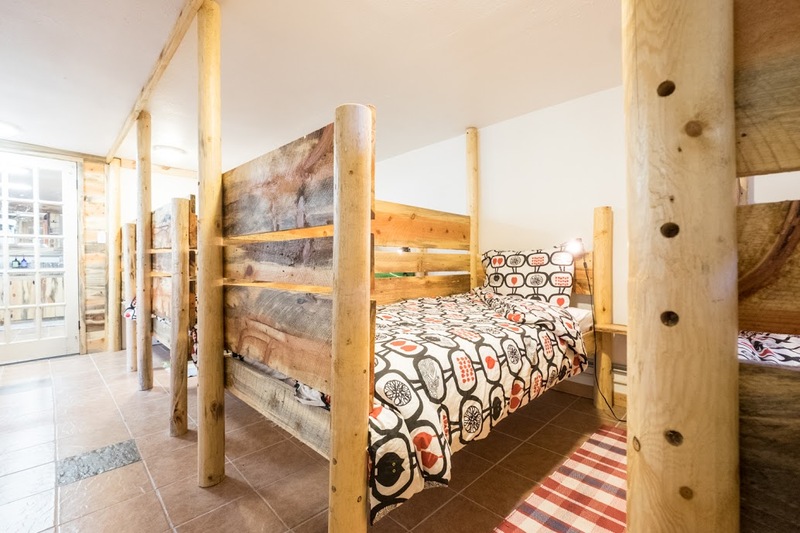 The downstairs dormitory is a bright cheerful place with 5 single handmade wooden beds and two-queen size pull out sleeping sofas for additional guests. 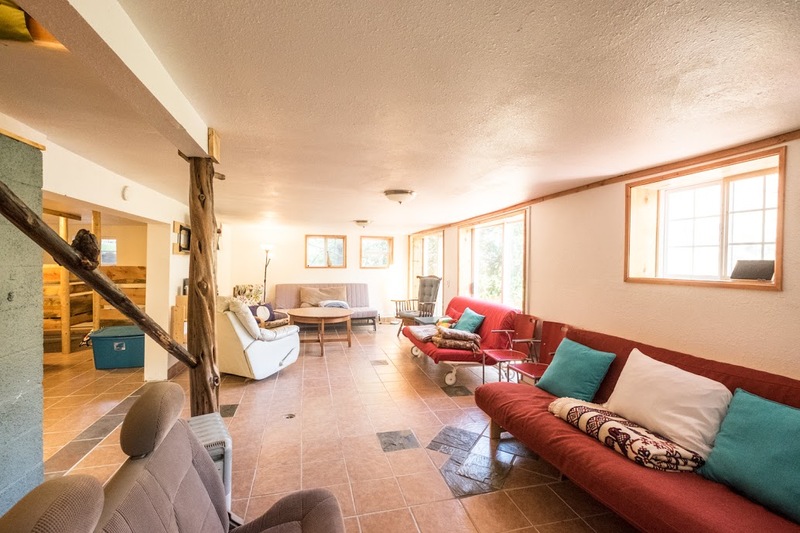 It has a ceramic tile floor, plenty of windows, glass sliding doors that lead right into the yard to the overlook spot with a fantastic view over the town below and the rugged landscapes beyond. The dormitory also features a hangout place with HD flat-screen TV. Free Wi-Fi is available throughout the house. 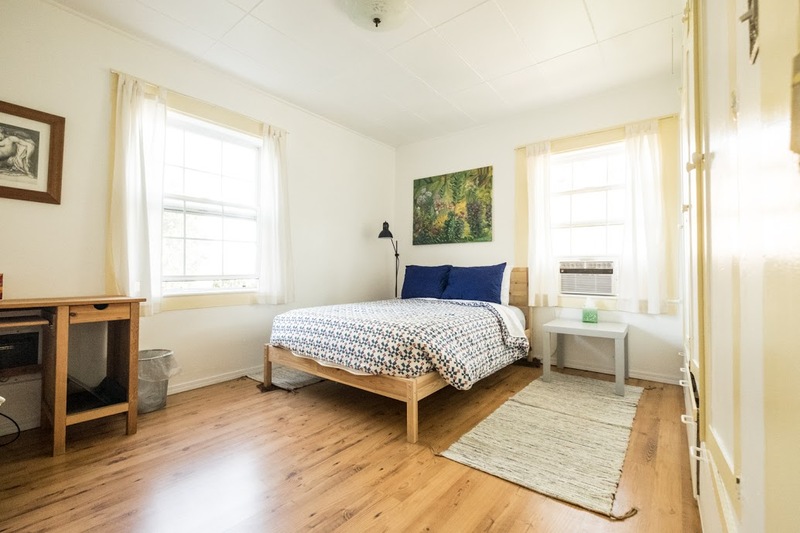 The old barn style garage next to the cottage has been remodeled to a small art and meditation studio with wooden floor and large glass panels. It can be extra rented for various classes, presentations, or courses. 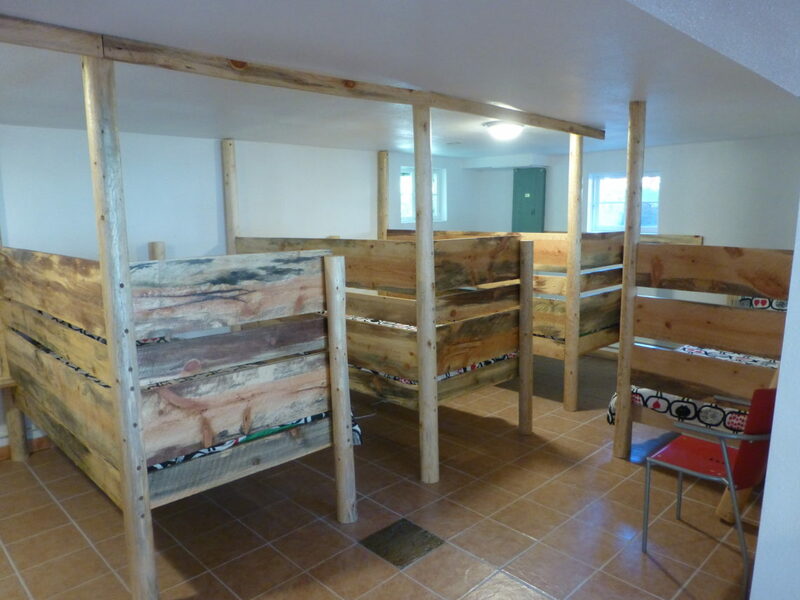 The old barn-style art & meditation studio is available for rental in addition to your cottage. It can be rented for various classes, presentations, courses, or retreats. 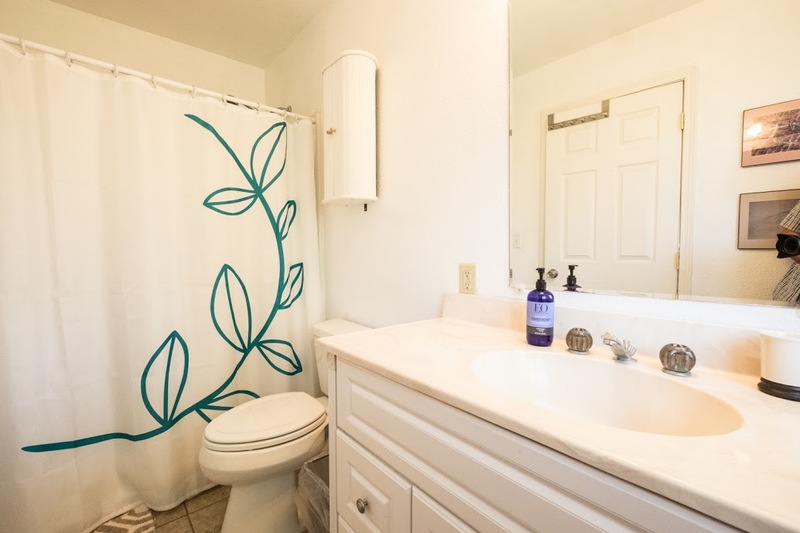 Bathrooms are stocked with organic soap, shampoo, and conditioner, with plenty of fluffy towels. 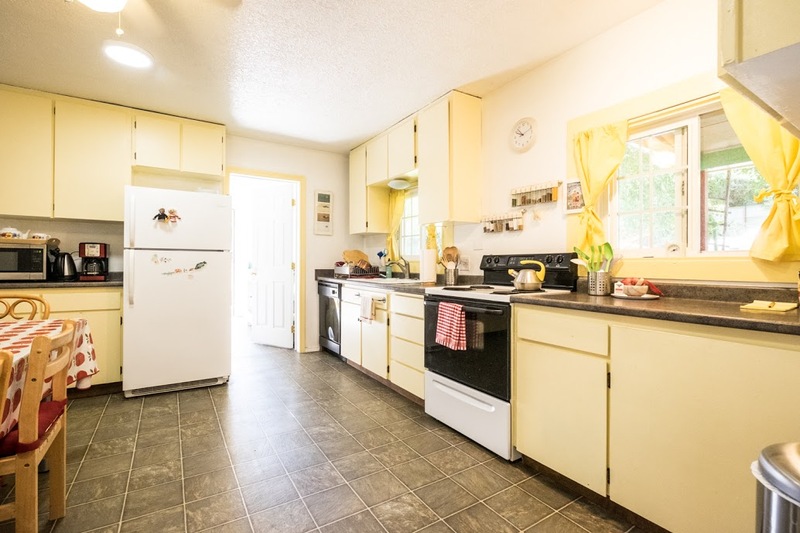 A full kitchen is present and has everything needed from culinary pots and pans, chef knives, artsy dishes and a good selection of herbs, spices, oils and vinegars. Rates are based on the occupancy of up to 5 guests. Additional guests are $30/night. Maximum occupancy is 18 guests. To customize your group stay, please contact us directly via phone or email. 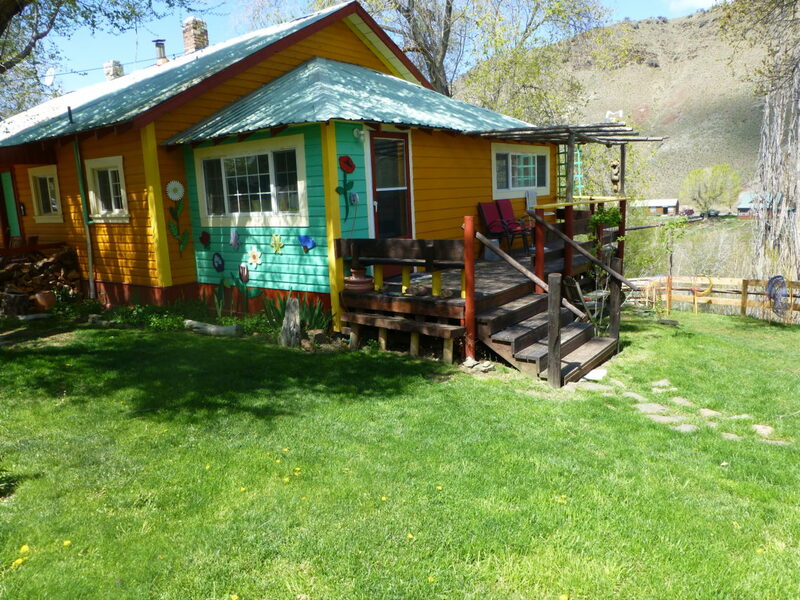 The Sunset Cottage was a perfect home base for our three days in the John Day Fossil Monument area. The accommodations were bright, cheery and clean. With the dormitory on the lower level, we had plenty of space for our family reunion of fourteen, grandparents and kids included.